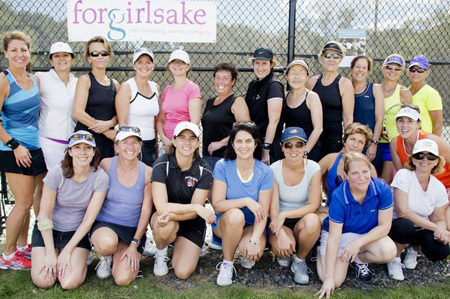 Today a Newton-based charity kicks off registration for the third annual Forgirlsake Women’s Doubles Tennis Open. The event takes place Sept. 19; rain date is Sept. 20. To accommodate busy schedules, registrants have a choice of two sessions: 9:00 a.m. – 11:00 a.m. or 12:00 p.m. – 2:00 p.m. (Ambitious players can sign up for both.) The tournament offers fast, competitive play (3.0-4.0) in a supportive environment and no partner is necessary (one can be provided). The registration fee is a minimum $55 donation per player, per session. For an additional $10, participants can purchase a professional “coached warm up,” a service that is back by popular demand this year. Visitwww.forgirlsake.org/tennis to sign up. Spots are limited and registration is on a first come, first served basis. The event will take place at Newton North High School for the third consecutive year. Held for the first time in 2013, the Women’s Doubles Tennis Open is the signature fundraising event for Forgirlsake (FGS). For nearly a decade, the organization has focused on sending girls to school in developing countries. By helping young women finish their education, FGS enables them to reach leadership positions and increase their earning power. Money raised helps pay for a range of items including books, computers, scholarships and building materials. This year, proceeds will benefit the Second Chance Scholarship Project. This new initiative is developed in partnership with the Pathways Development Initiative, a non-profit group dedicated to helping girls build sustainable livelihoods. FGS will be working with the Uganda-based organization for the next three years to put bright, motivated young women back in school who have dropped out, due to pregnancy or lack of funds. 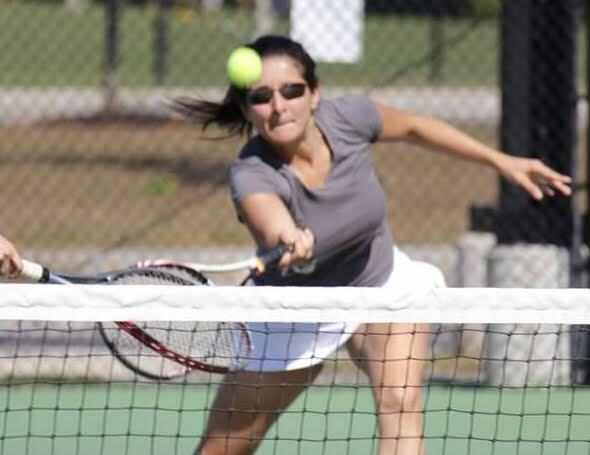 Made possible by Newton North High School, Newton Tennis and local business sponsors, the tournament is spearheaded by FGS co-founder, Stephanie Zelman, of Newtonville. Other organizers are area residents Sami O’Reilly, Deb Cronin, Noura Guermazi, Emilie Kendall and Lisa Rinkus. FGS was founded in 2006 and brings women of all ages together to support girls’ education and have a measurable impact on their lives and communities around the world. As the group is staffed entirely by volunteers, 100 percent of all tournament proceeds support its mission to build thriving communities and a more equitable society. For more information, or to make a tax-deductible donation, visit: http://www.forgirlsake.org/donate, call 617-630-5200 or email steph@forgirlsake.org.